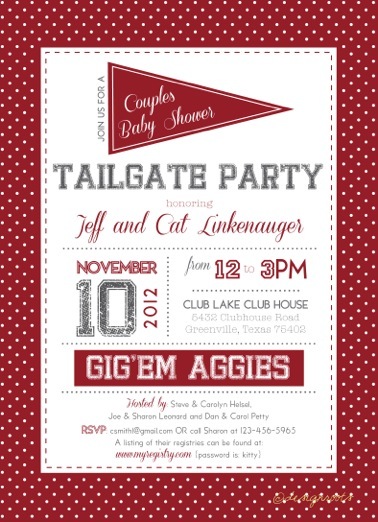 I love this invite my dear friend Heather with Design Roots created for a tailgate themed shower. The possibilities are endless when it comes to sports and tailgating ideas for parties and invitations. Check out my Pinterest board for more tips.